Also referred to as Form 3520, is usually stacked along with an individual or business entity’s tax filing when presented by an accountant or tax attorney authorizing the right for someone else to file taxes on behalf of that person. The document must be signed by the principal and does not need to be witnessed or notarized. 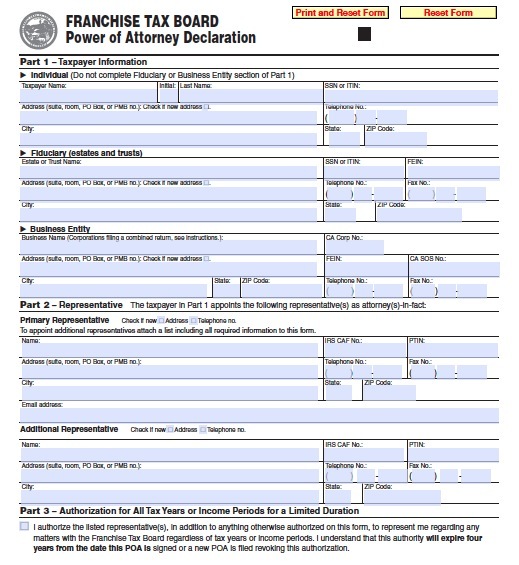 The form only allows a person to file for State taxes.